Shopping your baby’s very first outfit is a special occasion and a memory forever. We recommend to buy a cute little onesie for your new born instead of a pretty dress or trousers with a top as the very first outfit. Of course you can buy as much fashionable look as you want, but a new born baby will feel the most comfortable and warm in a cozy onesie. After his or her arrival into this world a warm onesie is the best you can offer your little one. 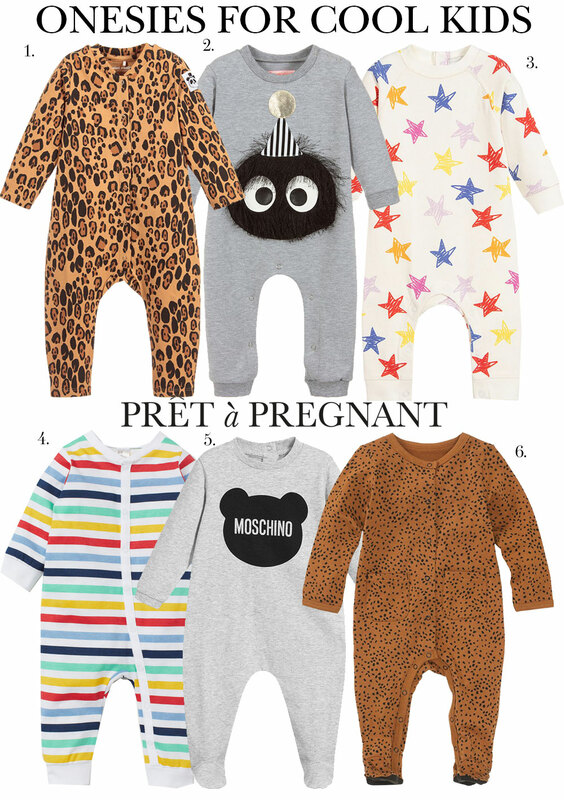 And good news, because there are so so sooo many cute onesies that will match each and every style so definitely yours as well. Today we have selected 6 of the coolest of this season: from a fun leopard print from Mini Rodin to Rainbow stars of Stella McCartney kids.